Lunch time opening hours are Tuesday - Saturday from 12-3pm. Check @noyaskitchen social media for details of the daily menu. On Wednesday's between 6-9pm we have our Phó special evening. Both our Lunch and Phó Wednesday can be pre-book via our website or you can drop-in on the day. Supper Club runs most Thursday, Friday and Saturday evenings through the year from 7pm-10.15pm. £40pp. Pre-booking only via the website. Cooking Classes run on selected Monday or Tuesday evenings from 6-9pm. Pre-booking only via the website. Noya's Kitchen serves up authentic Vietnamese food experiences, combining Supper Clubs, cooking classes and drop-in lunches in central Bath, all cooked & curated by Vietnamese born Noya (Nguyet) Pawlyn. Our Supper Clubs are our 'flagship event' running every Friday, Saturday & selected Thursday evenings. Noya serves a 5 course Vietnamese menu, that she freshly prepares on the day for up to 40 people. The menu varies week on week and is a secret until she introduces each course at the beginning of the evening. Advance bookings are absolutely required. We are BYOB with a £3 corkage for wine and £1 for beers. Lunch Club is our name for our simple menu of 2-3 dishes that Noya freshly prepares each day. The menu is constantly changing, so visit our social media pages to see what's cooking. Noya's Vietnamese & SE Asian Cooking Classes are perfect for people of all ages and cooking abilities. The classes are very hands-on, learning fun skills & techniques on the way to creating 3 delicious dishes from Noya's street food inspired menus. After the class we all sit around the kitchen table and feast! Noya also runs classes as team-building events for businesses. Amazing freshly made, tasty food and service, loved  it all!!! Had a wonderful lunch a Noya's Kitchen. We love her Supper Clubs and when we had a day off, I knew it was the place to go for a delicious lunch. It did not disappoint. We had a selection of starters and my husband and I each had a curry (small portion) which was a perfect amount. I highly recommend and we will definitely be going back soon. Fantastic meal and a lovely atmosphere. Would definitely recommend - we all loved it! Had a wonderful experience with delicious food. Perfect for what we like and what we wanted. Spent 4 days in Bath and ate at some lovely places but this was by far our favourite. After reading about Noya’s Kitchen last year, we finally made it! The food was fantastic - fresh, flavoursome and did justice to the enticing photos I have seen online. I had the trio for my starter: pork spring roll, summer rolls & tofu dumpling, which was so good! For my main, I had the  Bun Bo, which was so yummy and I loved the lemongrass chilli oil in the broth. Really enjoyed our food and will come again. 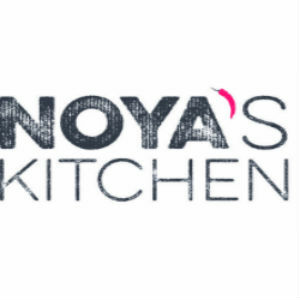 I can honestly say I had the most enjoyable experience at noya’s kitchen everything was perfect from the atmosphere to the tantalising food I thourouly enjoyed every moment, and will definitely be returning! The food was fresh and vibrant every flavour spoke for itself! The service was excellent we was catered for in every way! Amazing food in a lovely setting! One of the best Vietnamese food place I have ever been to. The staff is friendly - take time to explain the simple menu that is there. Food- every spoon is like work of magic. It’s always playing with you. Food temperature is absolutely right. Nearing room temperature not boiling hot. Spiciness wise, just the right kick and the flavours keep lingering forever. Quantity is of right balance too. If you had something to eat before share a platter and enjoy it throughly. Everything is thought of including the accompanying wine and drinks list. I went for chicken curry and it was yummy and full of chicken. Even the rice was simple but testy on its own. Dessert - we had pineapple ice cream along with some brownies and some Vietnamese coffee. The whole combination left me totally satisfied. I didn’t feel too full but fully satisfied. I loved it so much. Beauty lies in simplicity. This is a perfect example of that. Booked again for next week. Mmm. Came with high expectations and they were exceeded. Thank you - amazing lunch. Noya's Kitchen is our favourite Bath restaurant and our first port of call when we are eating out. The food is so fresh and the menus always imaginative. Have two more dates booked this month and can't wait. Food was excellent and the ales were well selected for the cuisine. Really good idea having a small and large mains option. There could have been more of a selection on the drinks - I only had two ales to select from. Likewise, three dishes to choose from for both starters and mains is reasonable, but four of each would have been preferable. Delicious food in a lovely setting and fantastic value. Very sad we don’t live closer. Wonderful, gem of a restaurant. Can't wait to go again. Delicious food, full of delicate flavours. Busy, busy but still a wonderful welcome and charming service. Noise level downstairs was rather high..but that's my only reservation. We had a great meal with excellent service. Our friends from London very much enjoyed the experience. Thank you, we will come again soon. Went for lunch with a friend and we both really enjoyed our experience at Noya’s. The food was amazing, great service and a lovely atmosphere. Looking forward to trying out the supper club, would highly recommend. Wonderful food and service. Always delighted to get a table here. Amazing, as always. And able to cater gluten-free for me - thank you! We loved this place. We had a delicious lunch for three. I have eaten Vietnamese before and often go to a restaurant in London which I rate as good - but Noya's is so much better. Everything tastes so deliciously fresh, with lots of zing, and it was so friendly. We definitely plan to come again next time we are in Bath - ideally to the supper club.